Everyone wants to maximise their time at the gym and generate the best results in the shortest possible time. Today we are going to look at the top 3 healthy fat burners for women to help fast track the hard work you are putting in. You enjoy working out; in fact, you love to work out and would do so gladly every day for the rest of your life if it weren’t for everything going on in your life. Most of us have groceries to pick up, dinners to prepare, kids to look after, clothes to launder, husbands to please, and a million other things that take up your time. In that light, it is a wonder you have the desire to get in shape, but desire can only get you so far if the motivation to push through is not there. If you are not careful, you will find that living a busy life easily becomes the perfect excuse for not taking proper care of your body. However, there are more than a few things you can do to overcome your busy schedule. For example, although many people view exercise as a luxury, you can begin to view exercise as a necessity in your life. Proper exercise should not be any less important than doing your job properly, educating your children and paying your bills on time. Many run the excuse that they don’t have the energy to work out. But ironically, working out increases your energy level. One thing nearly all the people who work out regularly notice is the increased energy level they have. In addition to committing fully to regular exercise and physical activity, there are a plethora of safe and effective supplemental products that can aid in your search for fitness. Today we are going to talk about fat burner supplements. Burning body fat is quite difficult if you do not adopt a nutritional and balanced diet in addition to a regular dose of cardiovascular exercise to speed up your metabolism. Thankfully, the nutritional supplement market has plenty of tools that can provide significant help in this regard and cause you to burn fat more efficiently. You will also notice increased metabolism to help with your body war on losing weight. The production of fat in the body and its eventual storage as excess subcutaneous buildup is a complex process that begins with the ingestion of foods. When we eat food and subsequently digest it, our bodies produce enzymes, mainly in the pancreas, that break down most carbohydrates into glycerol and various fatty acids. Through this conversion, molecules called chylomicrons are synthesised that, eventually, are deposited as adipose tissue in the different areas of the body. This body fat, which is unsightly and detrimental to good health, begins to accumulate only after the individual’s basal metabolic rate slows down. Therefore, we can safely conclude that the higher a body’s metabolic rate, the less fat that will accumulate over time. Each fat cell in your body (we all have them) will start to work in a new way. It is important to note that although the reduction of body fat, at its most basic level, works equally across both genders. The rate at which dietary fats are absorbed, the process through which these fats are metabolised and the way our body burns fat differs slightly between men and women. Therefore, women should pay particular attention when deciding what type of fat burning products they consume. Choosing the wrong product means that in the best case scenario the product is inefficient; however, in the worst case scenario, the wrong product can become a health liability. 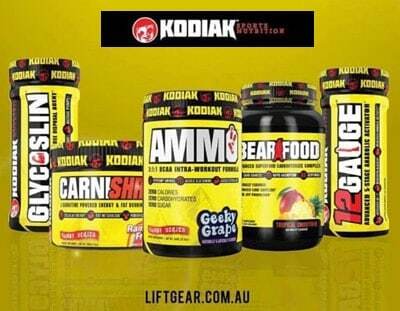 Kodiak Sports Nutrition is one of the most exciting companies in the growing workout supplements market. Kodiak Sports Nutrition has based their entire business model on bringing to market true top of the line products made with only the highest-grade ingredients known to science. Every Kodiak sports nutrition formula exceeds the industry’s standards, and CARNISHRED fat burning catalyst is no exception. 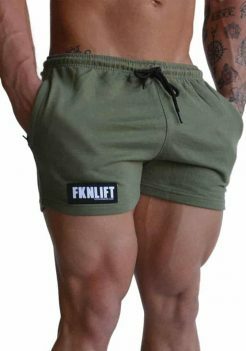 It is no coincidence that this product is the preferred fat burner for competition bodybuilders who are looking to gain an edge in the shred department. 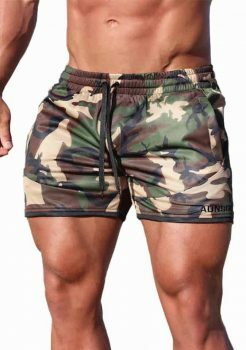 Kodiak’s Carnishred will pump your metabolism into maximum overdrive so that you can burn more calories and excess fat at an accelerated rate for more extended periods. All of this is possible thanks in part to the expertly crafted formula of L-Carnitine and CapsiAtra. These have been formulated to help increase fat loss around those ‘stubborn fat’ areas. Kodiak’s chemists and nutritionists have made sure that CARNISHRED is working and boosting your energy expenditure well beyond the end of your workouts. How does Carnishred stack up as one of the top fat burners for women? Kodiak CARNISHRED combines the two purest and most effective forms of L-Carnitine. These have been proven by methodical research to significantly enhance both lipid metabolism and ATP production, which is the body’s primary energy-generating molecule. speed up recovery so that going back to a busy schedule is as painless as possible. L-Carnitine Tartrate is an essential component in the transport mechanism of long-chain fatty acids as well as the subsequent breakdown of fats and energy production. Furthermore, L-Carnitine has been repeatedly shown to dramatically reduce post-exercise muscle damage, fatigue, and soreness. The included 25 mg of Paradoxine Aframomum Melegueta Seed Extract quickly activates the body’s brown adipose tissue and dramatically increases whole-body energy expenditure. CARNISHRED provides busy women with 2.5 mg of Dihydrocapsiate, or CapsiAtra, to increase resting energy expenditure and thus enable your body to become a calorie burning machine consistently over time. Few products are more efficient and cutting edge at burning fat than KODIAK’s CARNISHRED. One of the market’s most powerful fat burners comes in the shape of BPM Labs Black label edition fat burner supplements for women. This product has been a long time coming and is the result of hundreds of research hours. If you are a serious gym goer, BMP Labs Annihilate Fat Burner could very well be the perfect weight loss supplement for you. Few brands can deliver what BPM manages to deliver to help you lose weight, appetite control and to help maintain your energy levels throughout the day. Annihilate is definitely not for those women that like to do things only half right. This product is designed for busy women and those that have minimal time for weight management and losing fat. Annihilate’s fat burning properties are as strong as they come and as strong as promised. If you are interested in breaking personal bests or shooting past plateaus, this high-end product has been tailored to serve your needs. Simply put, BPM has created one of the strongest, fan-favourite fat burners for women on the market! How does the BPM Annihilate work so efficiently at burning fat? It is because it gets right down to your basal metabolic rate. Your metabolism receives a fundamental boost so that it is at maximum efficiency even when you are at rest. And as if that were not enough, Annihilate’s expertly designed formula has been dosed with ingredients that increase your focus and allow you to train at your maximum capacity. Not one breath will go to waste and you will be able to build muscle like never before. All it takes is one look at the ingredient list on the label to know that BPM Labs means business. All components have been meticulously chosen and clinically dosed to ensure you shed all that unwanted fat and get in top shape, regardless of how busy your schedule is. And these aren’t your run of the mill chemicals. 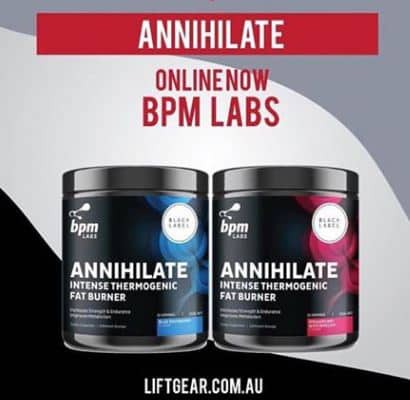 BPM Labs Annihilate has some of the latest and most advanced proprietary blends in the market. Every single component works in tandem with each other to further enhance your performance in the gym and increase all thermogenic activity in your body. If you are, like so many of us, a busy woman with a full plate, you would be hard pressed to find a better product than Annihilate. Finally, we present you with what is, arguably, the best fat burning supplement for women on the entire market. ATP Science Alpha Venus Women’s Supplement is a female-centric formulation explicitly designed to enhance estrogen modulation. One of the most critical aspects of female fitness and fat loss is the blood androgen ratios. Improve those, and you will see significantly enhanced fat burning. Making sure your body’s catabolic and anabolic processes are working in top-notch form will go a long way in helping you get the body of your dreams. Remember that the less estrogen that runs through your bloodstream, the less fat and adipose tissue your body will build up. This product is an instant knockout to your fat oxidation. 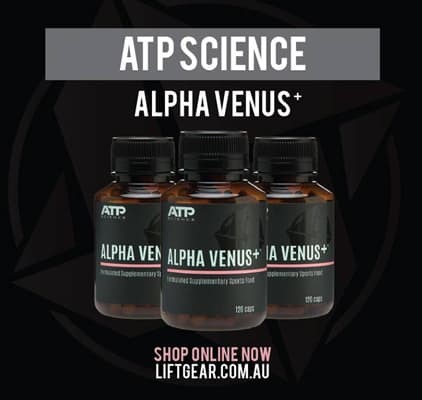 Additionally, ATP Science Alpha Venus Women’s Supplement helps to reduce water stored in your muscle fibres. With this product, you will look cut like never before. Is this the best fat burner for women on the market today? If you want to experience improved strength, increased muscle mass and achieve a lean and fit look at the same time, no product will come close to delivering on its promise as much as ATP’s premier fat burner does. What is even better is that ATP’s team of expert chemists have produced a formula that will help you shape your body. It will also help facilitate weight loss and fat loss from the most problematic and challenging to sculpt areas of the female body. Alpha Venus is a once-in-a-generation product that all busy women would be remiss not to try. If you are at all serious about achieving the body of your dreams, if you are at all serious about cutting down on unsightly fat deposits, then do not hesitate to try what we believe are the top 3 healthy fat burners for women that work. ATP Science Alpha Venus Women’s Supplement is on a whole different league than the rest. What about natural fat burners? There are a few natural fat burners on the market with many containing ingredients such as green tea extract or green coffee bean extract. Green coffee beans are a popular mix for those where increasing your metabolism is a must. Others will talk about the merits of Acai berry, fish oil, black pepper extract or cayenne peppers and garcinia cambogia as part of a good fat burning supplement. These are certainly popular ingredients but we’d suggest you might want to try these after the top 3 fat burners for women we mentioned above. Of course, you cannot beat diet and exercising if you want to go purely natural, but these things take time.